Sunday Women: Who Are Your Heroines? “Mother shuns Disney Princess ideal and dresses daughter up as five real heroines” read the Daily Mail headline last week. 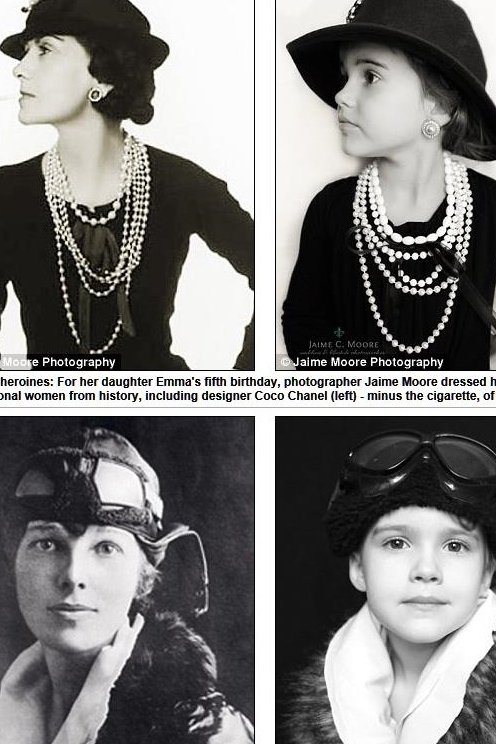 The story was about Texas photographer and mom, Jamie Moore, who celebrated her daughter Emma’s fifth birthday by dressing her up as influential women from history. Being a princess, Moore wrote on her blog, is an “unrealistic fantasy for most girls.” So she opted to photograph Emma as five significant women, “REAL women for my daughter to know about and look up to.” Real heroines. Women who made a contribution to the world. Moore chose individuals who were, by any standard, amazing women: Susan B. Anthony, Coco Chanel, Helen Keller, Amelia Earhart, Jane Goodall. Giants in our history. I can understand why she selected them for her daughter. Adult women need heroines, too. But these extraordinary women are little overwhelming to me. Truly, I can’t conquer the laundry, let alone find a cure for cancer. I take joy in the fact that the heroines in Scripture are outwardly less splashy than those from women’s history month. 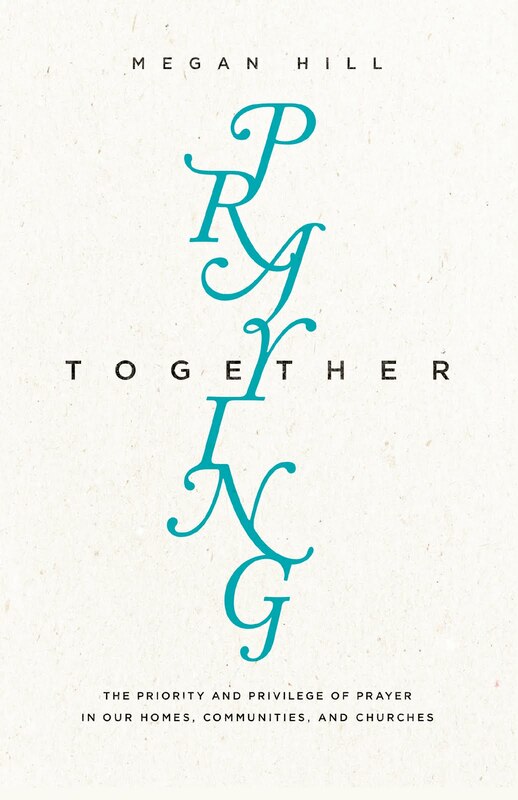 Sure, there’s Esther and Jael and Rahab. But most of the Bible’s great women weren’t especially beautiful or extraordinarily smart or particularly creative. They did the little stuff, the messy stuff, and the necessary stuff. My heroines are women like Nympha (Colossians 4:5) who was written down in the pages of Holy Scripture because she opened her door and let some saints walk in. And Priscilla (Acts 18) who, with her husband, was a refugee. But she gave hospitality to a loud and poorly-informed young man who needed some quiet nurture before he could be useful in the kingdom. I’m so thankful for the heroics of Lois and Eunice (2 Timothy 1:5) who mothered and grandmothered with the love of Christ shining brightly in their actions. Sisters, “the Lord sees not as man sees: man looks on the outward appearance, but the Lord looks on the heart.” (1 Samuel 16:7) The greatest actions are not always the ones the world applauds. Often, the greatest actions are the smallest sacrifices of individuals motivated by love for Christ. If we need heroines--and we do--we can aspire to be like the widow (Mark 12: 42) with her two copper coins and the women (Luke 8:1-3) who provided for Jesus and his disciples. Nothing remarkable. But precious in the sight of God. When I grow up, I want to be like them. Great article! I've been thinking a lot lately about what's and important focus for me and for my kids, and that does involve a great deal the people that I want them to watch and see as heroes. Thanks for writing! Yes! I most likely will never be recognized by others for doing something amazing, but I'm holding to the truth of Scripture that tells me I don't have to be recognized by others to be doing somethings amazing. I'm reminded of the line in the hymn from Anna Waring "Father, I know That All My Life" that says, "Content to fill a little space, if Thou be glorified."